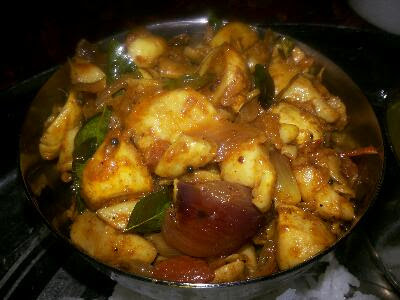 Exploring yummy, highly nutritional, instant and easy cooking methods of Kongu Cuisine. Add fennel seeds to fry. Add cinnamon, bay leaves, cloves, cardamom and star anise. Fry until the flavour burst out. Add turmeric, coriander powder and red chilly powder. Add the chicken chunks and saute for few seconds until the chunks turn pale and shrivelled. Add tomato dices and saute for 5 seconds on low heat. Add salt and 100 ml water. Cover and place the weight. Allow three whistles and simmer for five minutes. Add castor oil. The country chicken is to be cooled before we eat. Saute for three to five minutes on low heat. Add the reserved half tsp pepper as a final touch. Saute until the chunks turn succulent and sumptuous. It is very tasty with hot chappathis, Rotis. It suits with hot steamed rice too. This is a versatile dish. Milky mushrooms are the substitute of non-vegan foods. Nutrition Value of Milky Mushroom Milky mushrooms are quite a well-known species known for their high nutritional value. Taking a look at the constituents, proteins make up the bulk of the mushroom which is almost 6 times of the carbohydrate content on one hand and fats being too low on the other hand. Hence it is proved out to be an excellent food for people who do not want to risk increase in weight. Mushrooms have the low sodium content which is responsible for high blood pressure but being rich in the potassium content, the blood pressure and the pulse is regulated and smoothened. Here is one nutritious and delicious thokku, to pair with hot steamed rice and idlis! You will go addicted to this flavorful thokku badly! 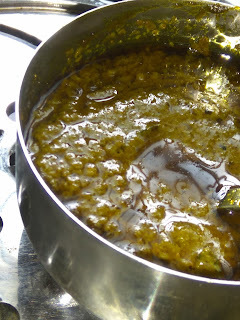 Wash the leaves and blend with soaked tamarind and garlic to get the thick paste. Heat the wok with one tablespoon of oil. Once the seeds start spluttering, add curry leaves in low flame. Transfer the paste to the wok and give a gentle stir. Allow boiling to cook and get thickness. Check the taste. If needed add things to balance the taste. The beans locally available are avarai beans, Fava beans, broad beans, Bell beans and butter beans. Butter beans are our local mochakottai paruppu or mochaiparuppu. Avaraai beans are confused often with mochai paruppu. Nutritional Values of Avarai paruppu: The nutritional contents are higher than any other lentils. Rich with vitamin A. Vitamin C, iron and so on. 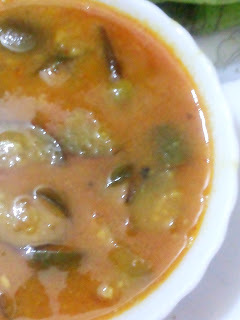 This post reveals about the preparation of avarai paruppu kathirikai sambar.